Even in a situation where you’re not expecting a power shortage, a LED flashlight can come in handy. Moreover, many of the models that are available for sale these days do not cost a fortune, which is a benefit in itself. Some of them look cool and won’t embarrass you in case you want to use them in the presence of someone else. Besides, many choices are designed for activities such as hunting or fishing, which means that they are winners in terms of efficiency, convenience, and durability. 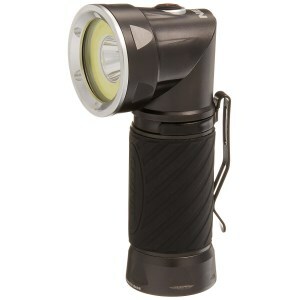 Needless to say, an outdoor LED flashlight always has to be rugged. For more info and to see some nice-looking and effective models, keep on reading. This is a set of 3 working lights good for illuminating whichever area you happen to be operating in during low-light hours. They’ll prove great when you need to stop in the middle of the night to change a tire if you need your bag illuminated or to find the keyhole after a night out. They are compact enough to be carried in a shirt pocket and feature both a clip and a magnet, so they stick to metallic surfaces. The beam they give out is wide and relatively diffuse, great for work areas but not suited to concentrate on distant spots. This is the oversized version of the regular Larry, with an output of 400 lumens, powered by 3 AA batteries that are thankfully included in the package. Since this uses COB LED technology, the batteries should last for a fair while, enough to finish whatever work you set out to do at night. Besides the standard one, it’s got two additional light settings, a 160 lumens low intensity that should spare the battery while still giving a respectable output and an emergency red flash mode which you could use for signaling or when the power supply is near depletion. 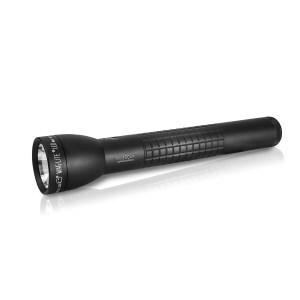 A full-sized model that takes 3 D-cell batteries, the Maglite ML300LX comes with a surprising number of features and functions, that you can either use for your highly specific task or just play around with. An advanced focus system lets you adjust the width beam from spot to flood with just a short turn of the head, and the light quality can be pre-set to some mods, such as General, Outdoor, Law Enforcement and Tactical. The specs are pretty high, with 406 m of maximum beam distance and as much as 117 hours of battery life in ECO mode. There’s very little you can’t do with this Torchstar model, as it doubles (or more accurately triples) as a work light, floodlight, and spotlight. It also has two power supplies and can be charged from a USB, which should give you a great amount of function when using it to illuminate a work area. It’s small enough to pocket carry for mobile use, and the head lamp rotates 90 degrees so it can be held much like you would a torch. The base is magnetic, so it’s easier to fix in place on the hood of a car and other such surfaces while a hidden hook will allow you to hang it from a cord. 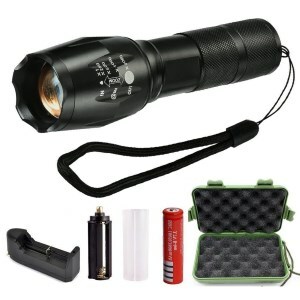 Sold as a tactical flashlight in a kit together with a rechargeable Li-Io battery, a battery charger, and a case, this Liwin item should be ideally suited for police work, guard duty and nighttime operations for armed forces personnel. To adapt to various requirements for light discipline, it has five distinct intensity modes, including a low one for when you don’t want to alert to your presence, but also strobe and SOS in case you do. It’s sturdy enough for extended outdoor use, both skid-proof and water resistant. Outfitted with a zoomable focus, you can either use it to flood an area with light or pinpoint on a small, distant area. Small, relatively powerful and adaptable, this compact model from Nebo should give you great use in a number of situations. It has multiple settings, including spot-light, COB flood-light and red, while it’s head can turn to 90 degrees, making it effective as a work light, when conveniently placed on a metallic surface with its magnetic base or hung by the clip. It’s powered by 4 AAA batteries which can hold between 2.75 hours and 6.5 hours and can put out between 250 to 15 lumens depending on the settings used. The COB flood light works to illuminate objects as far away as 115 yards, with the dimmer red setting being effective at about 22 yards. 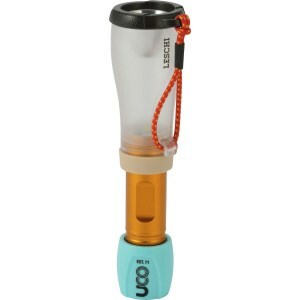 This collapsible model from Uco can work as both a lantern, where it puts out a diffuse white light good for illuminating a campsite or work area and a regular flashlight, providing up to 110 lumens in a focused beam. It’s water resistant to be suitable for outdoor activities, and it comes with its own shock cord so that it can be hung like a regular lantern. In low-intensity mode, the 1 AA battery (not included) should last 4 hours while the strobe will keep it alive for up to 7. The high-intensity setting allows for 2.5 hours of continuous use, with a beam projection of 279 feet. Using flashlights has changed a lot after the LED bulbs started to be used instead of incandescent and halogen bulbs. 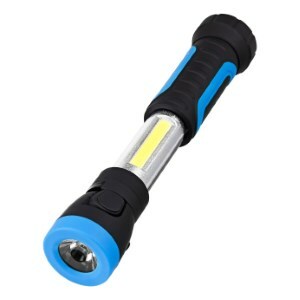 The LED flashlights are now much more popular than their counterparts because they have a brighter light, are available in multiple configurations, and you can enjoy longer battery life and bulb life. Since the market is saturated with brands, models, and options, the search for cool LED flashlights is going to be pretty tough. Whenever you’re dealing with such difficult choices, it’s important to make your own research and observations by going through presentations and reviews. LED flashlights can be life savers, so knowing whether you can rely on it or how much a battery can hold up is very important. You could skip these steps and end up with a flimsy plastic device that shuts down when you need it most. We strongly recommend you pay attention to what you’re about to purchase. Because the selection process could take forever and you probably need the flashlight sooner than that, we’ve saved some of your time and have come up with a short guide. Our methods could lead you right to the target, so don’t waste the opportunity. Asking fundamental questions about things in life and products online seems to provide us with the best solution. That is why the right questions are going to sort out this tough search as well. Your choice will be satisfying as long as you keep in mind the few issues clarified below. What type of flashlights can you find nowadays? Handheld flashlights are some of the most common on the market, and they’ve been designed for ease of use and typical situations. They are powered by mostly by C or D cell batteries and have an adjustable beam of light. The best LED flashlights for the money are usually designated from this category because they are less demanding in terms of construction and design and can be highly efficient and durable. 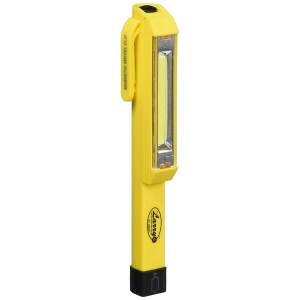 Besides the regular LED flashlight, you’ll also find small-sized, lightweight models, powered by AA or AAA batteries. These mini versions can be turned down for a very low light intensity. Although small in size, the tactical flashlights are remarkable because of their very strong light and incredible durability. 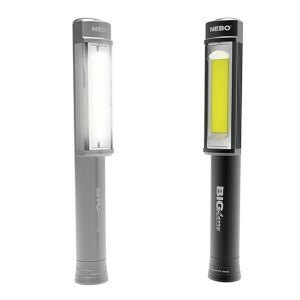 LED headlamp flashlights are a great combination of LED brightness and hands-free convenience. They are usually built by grouping together tens of individual LEDs and provide up to 600 lumens. The headlamps are sometimes powered by rechargeable batteries, instead of the standard ones. When the users need a heavy duty model, with a lot of power for longer periods of time, they can even choose items with a power cord attached to batteries carried on a belt. With an elastic strap, these LED flashlights can be mounted on the head or headgear and easily removed. LED flashlights designed for emergency and survival are mostly wind-up or shake flashlights. Because you have to make sure your device is powered in any situation, the hand crank or the magnet and coil are the safest bet. You’ll also notice many models have a radio attached to them, which is a convenient combination if you’re in distress. Depending on how large or small the flashlights are, batteries matching them vary from the small ones that are designed for watches, to the D batteries. The replaceable batteries are not a bad choice, since the LED technology allows you to use them for up to 4 hours straight, even at high intensity. The major advantage is that you don’t have to wait for a recharge. Rechargeable batteries are convenient when you need to travel light. It’s easier to use the same battery again and again than to carry lots of sets with you. You save some money and can always be prepared if you use a wall or car charger to keep them powered up all the time. Cranking or shaking are recommendable if you need to power up in the middle of nowhere or during a power outage. Using power from magnetic induction or a small generator operated by a hand crank you can get enough light to last for hours. The trick is to chose an efficient dynamo, to shorten the time you have to crank on it. Depending on the amount of light you want, convenient use, when and where you intend to use it, you can make your pick. When you need a flashlight you can keep in the drawer for home use, or have to carry it to work as a maintenance employee or handymen/women, it’s better to pick the cylinder style handheld type. The size, beam, and batteries are just what you need. 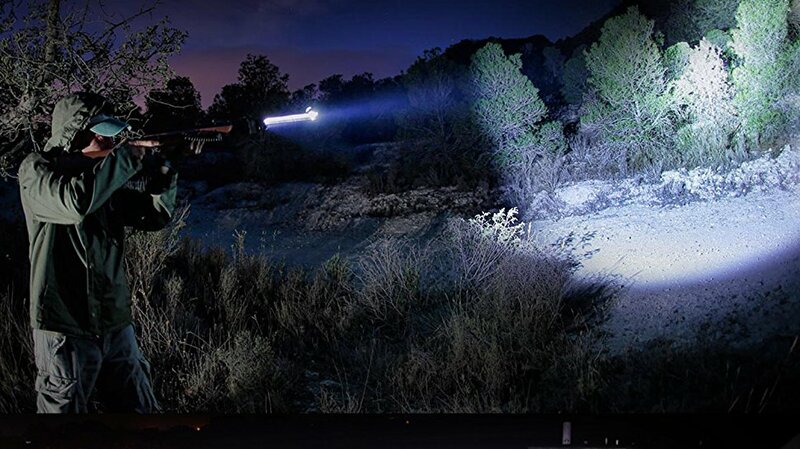 If you need it for law enforcement or in the military, you should pick a LED flashlight that produces plenty of light and at the same time is easy to handle. You need a mini version of a handheld flashlight that is easy to carry and can switch to low light during maneuvers or nighttime shifts. The tactical flashlight is the brightest flashlight on the market, and it’s perfect for military operations. 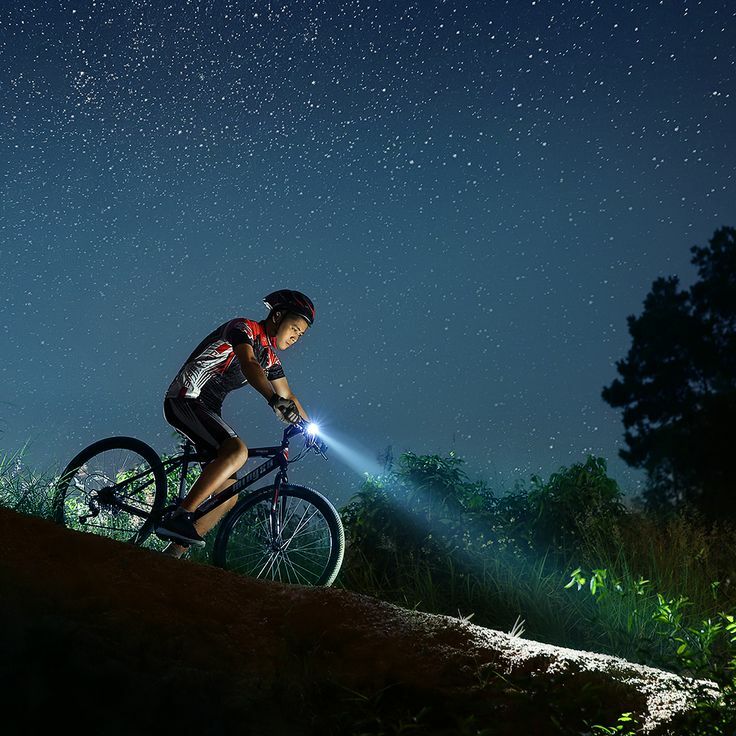 Campers, hikers, fishers, bikers and other such groups of people will be delighted to have a LED headlamp flashlight, so if you’re one of them, put this on the list. You could, of course, need it for other than hobbies, in case you’re a miner, emergency responder or construction worker. The emergency and survival LED flashlight will be handy no matter what your hobbies are and where you work. Put it in your car and survival kit, and you’ll be safer. What additional features should you choose? Depending on the situations you expect to be involved in, check for features that are cool and useful at the same time. The adjustable light intensity and the possibility to switch from narrow to wide range should be among the features. Also, if you can find water resistant or waterproof LED flashlights, it would be great. Now that you know what the best LED flashlight review should tell you, it’s much easier to buy a cool product.